The Quantum Manual Hydrostatic Fuel Tank Gauge is new to our range of commercial tank gauges and boasts a number of beneficial factors – one of which being it requires no power, and has a hand pump mechanism which is used to reveal the current tank contents. 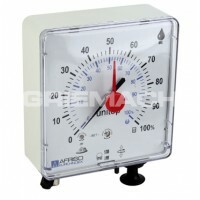 Constructed from 304 grade stainless steel, this fuel tank contents gauge gives readings in litres/gallons, is suitable for any shape tank with a maximum height of 8 meters and has a high accuracy of +/-1% at full scale. 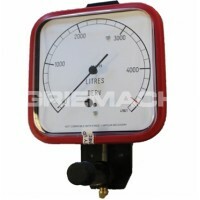 Please note, this fuel tank level gauge must be calibrated to the size of your tank. The Quantum fuel tank gauge is ideal for heavy duty, industrial and plant applications, and can be used with water, diesel, kerosene, lubricants and tanks containing more aggressive fluids. Please find the downloadable calibration questionnaire, which must be filled in and sent to info@agriemach.com upon ordering this gauge. 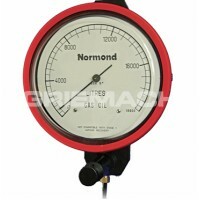 This fuel tank gauge is made to order, so please be aware there is a lead time of up to 10-15 working days.